“We are pleased to produce the Gender Pay Report for Sheffield Students’ Union providing information on the difference in average pay between men and women working for our organisation. The report highlights that on average, women are paid 10% more than men at Sheffield Students’ Union. The Trustees and leadership team at Sheffield Students’ Union are committed to promoting diversity and eliminating inequality wherever it might exist. On analysis of the data, we remain confident that our pay gap is not a result of men and women receiving different pay for the same role. 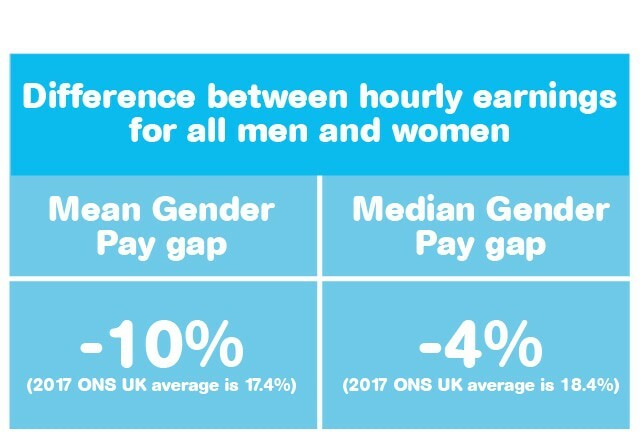 Gender pay gap reporting is a useful tool but we do not consider gender equality to be a priority over other forms of diversity for our organisation. We celebrate diversity and provide a supportive and inclusive environment for all staff. We also embrace flexible working and work life balance. We have a large number of part time staff, term time only staff and those working on a flexible basis. Our family friendly policies are generous and we offer time off for career breaks and sabbaticals. We have been successful in recruiting and retaining female talent, as reflected in the high proportion of females in the upper quartile. This includes our senior leadership team with 4 women and 1 man and our Heads of Department with 8 women and 6 men. 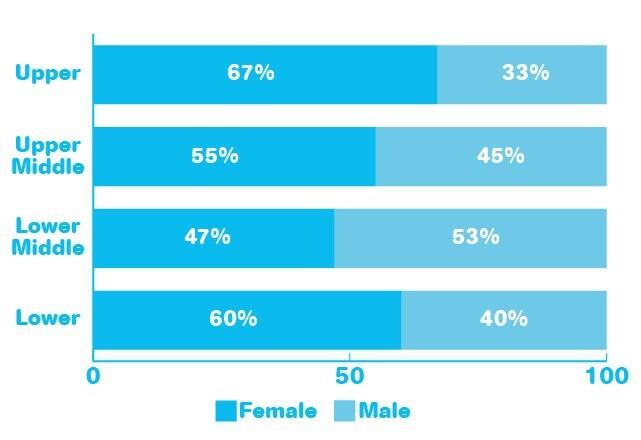 The most senior role of Chief Executive is filled by a woman. Ensuring our recruitment and selection practices are robust, and that those responsible for recruitment receive the appropriate training. Ensuring that opportunities for learning and development are available equally and fairly across the organisation. Ensuring our reward and recognition scheme (with clearly defined pay zones and bands) is continuously reviewed and benchmarked externally as required. Continue to provide flexible working opportunities that meet the diverse nature of our workforce. We are confident that these ongoing commitments will reduce our gender pay gap further and will continue to support our aim to be a flexible and responsible employer. What is the Gender Pay Report? Any organisation with more than 250 employees is required by law to carry out Gender Pay Reporting under the Equality Act 2010 (Gender Pay Gap Information) Regulations 2017. The Gender Pay Gap calculations are based on an equivalent hourly rate for each employee, for the pay period including 5 April 2017. It is expressed as a percentage of men’s average earnings (so a negative % means that women are paid more on average than men). The results must be reported to the government and published on our website by April 4th 2018 using a ‘snapshot’ of data for the relevant pay period that included 5th April 2017. The median is the Office for National Statistics’ preferred measure.